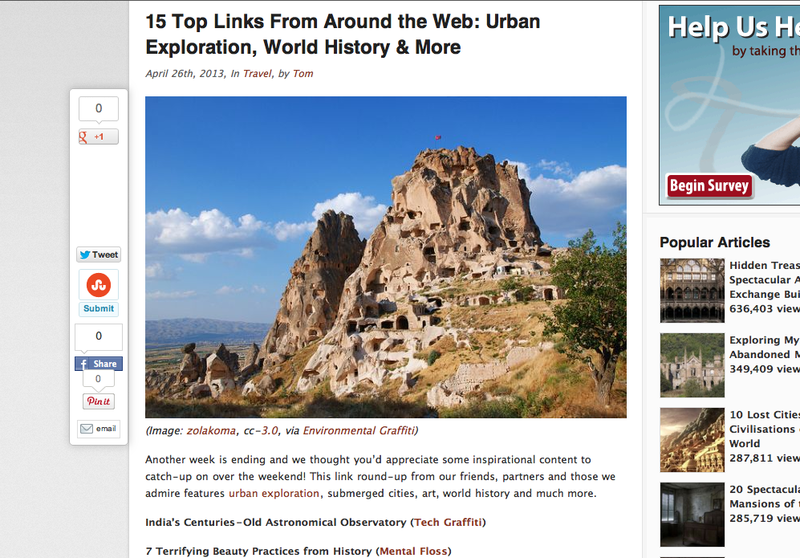 Bambi’s post on the Rayak Train Station was recently featured in a list of the “Top 15 Links From Around the Web.” It’s a cool round-up of interesting links on “Urban Exploration, World History & More” – check them out here. This entry was posted in Lists, Random. Bookmark the permalink.